A forum where development builds are posted for testing by the community. NOTE: The software in this forum is not %100 reliable, they are development builds and are meant for testing by experienced octane users. If you are a new octane user, we recommend to use the current stable release from the 'Commercial Product News & Releases' forum. This is another release candidate fixing various issues in the materials as well as the material preview rendering. We really hope that this is the last one and we can get the stable version out next week. As mentioned in the previous release, we are still looking at various stability issues, especially one issue that was reported by various users where Octane rendering fails with spurious CUDA error 2 (out of memory). It seems to happen at specific points during the scene initialization phase but during CUDA calls that don't allocate any memory. For the one scenario where we could reproduce the issue, we have found a workaround to "fix" it, but since it might be just some obscure side-effect of some other problem, it might pop up again in some other scenario. I.e. we need more data from users and more failure cases and any help by you is very much appreciated. Please note that this build will expire in 120 days, this is now shown on the bottom right of the Standalone release. As before, some introductory material on V4 can be found here: first release post of V4. Please make sure you have NVIDIA driver 387 or newer on Windows and Linux, and any CUDA driver for Mac that supports CUDA 9.1. Please also note that architecture improvements mean we can no longer support Fermi GPUs. Added option to the batch render script and job to allow saving of both the main and the denoised main passes (see viewtopic.php?p=348116#p348116). Fixed broken preview rendering if the main render module hasn't been initialized yet (see for example here: viewtopic.php?p=348636#p348636). 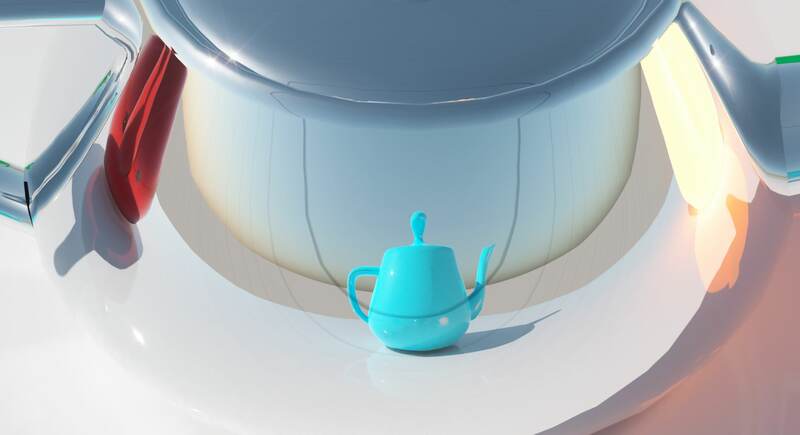 Fixed darkening of the planar material preview rendering when a glossy, meetal or universal material is being rendered. Fixed artifacts in the sheen / coating layers of the universal material (see viewtopic.php?p=347984#p347984). Fixed fireflies when sheen and coating are both enabled in the universal material. Fixed clear coat of universal material to have no effect if its IOR is 1. Fixed energy gain at glancing angles when the clear coat roughness is low. Fixed excessive usage of system memory during the compilation of heavily overlapping geometry. OSL: Added support for specifying a step size for integer inputs via the sensitivity metadata. Standalone: Fixed incorrect progress bar updates on Windows 10. Standalone: Reimplemented rotation handle which now allows you to rotate objects multiple times around the picked axis. Lua: Added octane.project.setSelection() which clears the current selection and selects the given node items and pins. Thx for the update: I've a question about the new licensing system: As far as I know we will be able to use GPUs in our network as soon as V4 is stable without getting another license (as holder of a perpetual license). Is this correct? And if so: will this new licensing system go online the day you release a stable v4? I have noticed that error when I'm also running another program that makes very heavy use of the GPU. In my case it was when I was running 3D-Coat along with Octane, they do not work well with each other. I do not see any effect when adjusting the Sky Turbidity parameter. Not seeing an effect when adjusting Sky Color and Sunset Color as well in the Nishita Daylight Model. Any other parameter that needs to be adjusted in combination? Or are those parameters simply not used in the Nishita Daylight Model? In the New Daylight environment adjusting Sky Turbidity alone shows a huge difference in shadow softness as expected. Sky and Sunset Colors also change drastically as expected. Nishita Sky does not work with sky color and sunset color given that it is a physically based model. Turbidity however should work, I'll look into it. The Universal Material has a strange behavior at low specular roughness values. It has these harmonic ring looking artifacts. These artifacts fade away as roughness approaches 0.002 and up. I tested the same on the metallic material and no such artifacts exist. Ray Epsilon has no affect.